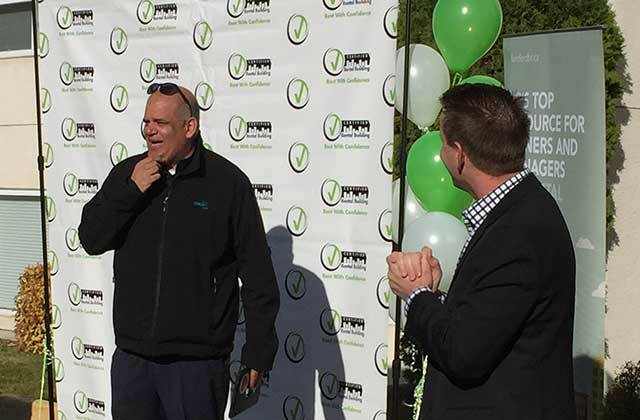 KAMLOOPS – As part of its commitment to provide safe, clean and attractive rental apartment housing to its tenants, Kelson Group has again been successful in achieving recognition through the Certified Rental Building Program in BC. Today, the Kamloops-based property management company announced it has certified its 22 buildings in Kamloops and three buildings in Kelowna, after going through a similar process for six properties in the Fraser Valley in December of 2016. "After certification in the Fraser Valley, becoming certified in Kamloops and Kelowna was the next step for Kelson Group in being accountable to our residents and maintaining a standard of quality throughout the buildings we own and manage," said Jason Fawcett, Vice President, at Kelson Group. "Our goal is to have Prince George certified next year." 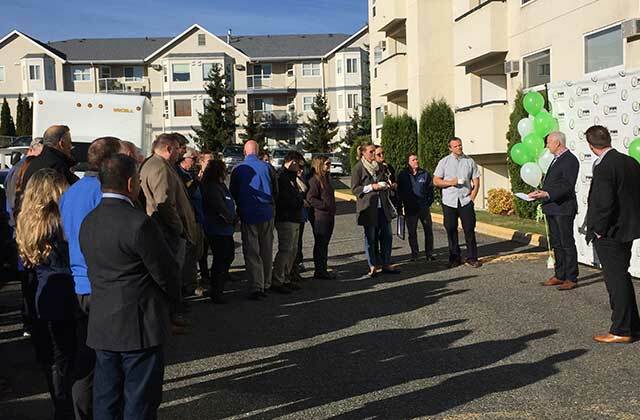 Representatives from Kelson Group and David Hutniak, CEO of LandlordBC were on hand at Kelson's Glynnwood Terrace Apartments to celebrate the accomplishment. 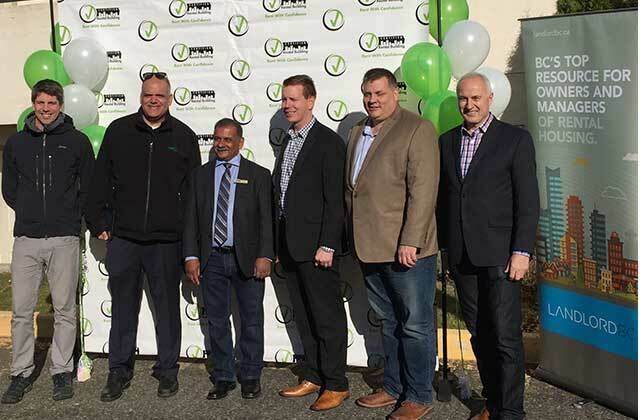 Dignitaries in attendance included MLA Peter Milobar, Councillor Arjun Signh, Councillor Donovan Cavers and Councillor Ray Dhaliwal along with several landlords from Kamloops. 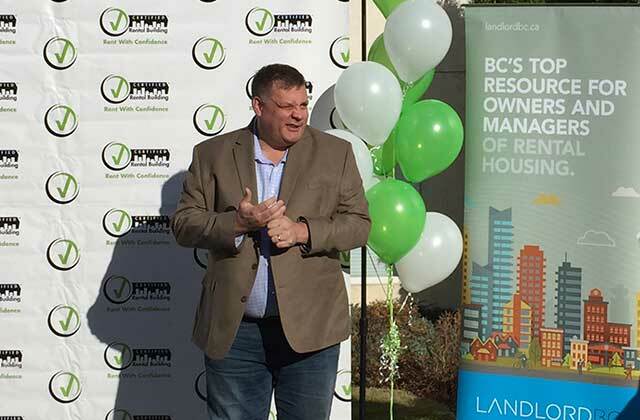 "The main goal of the CRB program is to build consumer confidence and elevate rental-building standards to make rental housing in the province better for everyone," said David Hutniak, CEO of LandlordBC. "The CRB program means peace of mind for renters knowing that when they rent in a CRB building they will receive both a quality product and quality service." 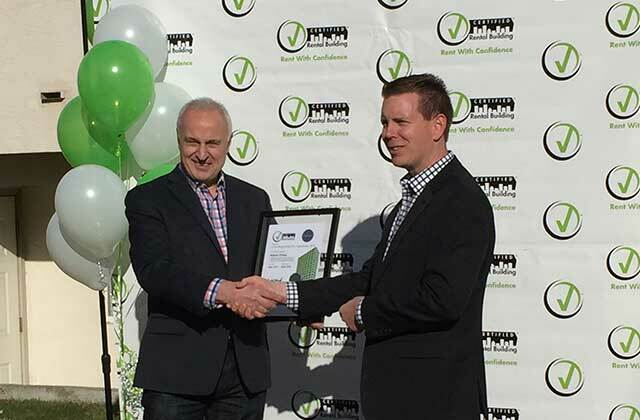 Kelson Group has committed to certifying all its buildings in BC by 2018. The Certified Rental Building (CRB) program follows a similar program model to one used in Ontario, which was the first province to adopt the standards initiative. The goal, according to LandLord BC, is "to promote professionalism in the rental housing industry while providing tenants with a quality assurance alternative when selecting a rental apartment home."